THE SKINNY: L.I.L.Y. 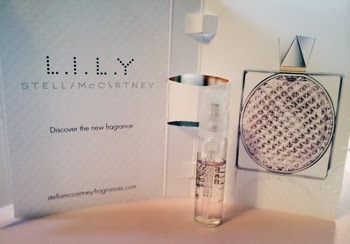 by Stella McCartney is a light floral fragrance that has a lot of (for lack of a better word) texture. There are a couple of nice aromas in there that aren't too overpowering. It does though have a hint of something that smelled a little grandmother-ish to me. Not a lot of it, but it was there. But the overall smell was nice. It did not hang around long though, which is why I am really docking it a star or so. A fragrance at this price point needs to last. KEEP OR TOSS: Keep. I might try it one more time.